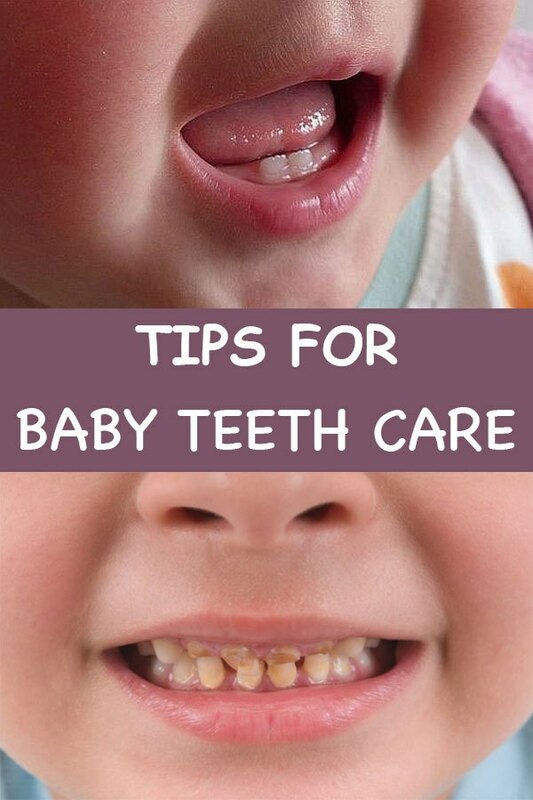 To avoid problems of baby teeth, parents should not avoid caring them as the mil teeth are very sensitive. Some parents have wrong views about the baby teeth that they think the teeth will fall off at a certain time so they never give much importance. Improper care of baby teeth may lead to the permanent decay or tooth damage. The baby teeth are not only for chewing food but they give a victorious smile to their faces. Mouth Cleaning: Baby mostly likes to eat chocolates and sweet dishes so it is necessary to clean his mouth each time when he eats something. You can do this by warming the small piece of cloth dipping in warm water then apply this all over the gums. Soft Toothbrush: When the baby starts to have teeth, you should buy a soft toothbrush for him with a big handle so he can hold properly. Teach the baby how to brush in different positions. Use a toothpaste containing fluoride. Brushing should be done twice a day, in the morning and night. It is important to do regular dental checkup of baby within 6 months of teeth exploding. Sugary Foods: Baby teeth must be harm due to having the sugary foods so avoid that as much as possible. You can by sugar free foods from the super markets only after checking the label on them. You should give diluted juices using warm water. It is highly recommended to completely reject the bottle milk after the age of one year because it can lead to early milk tooth decay if given for a long time. It can also happen during the breastfeeding period when the baby falls asleep during sucking or breastfed overnight.